Two National Parks – One Extraordinary Destination! 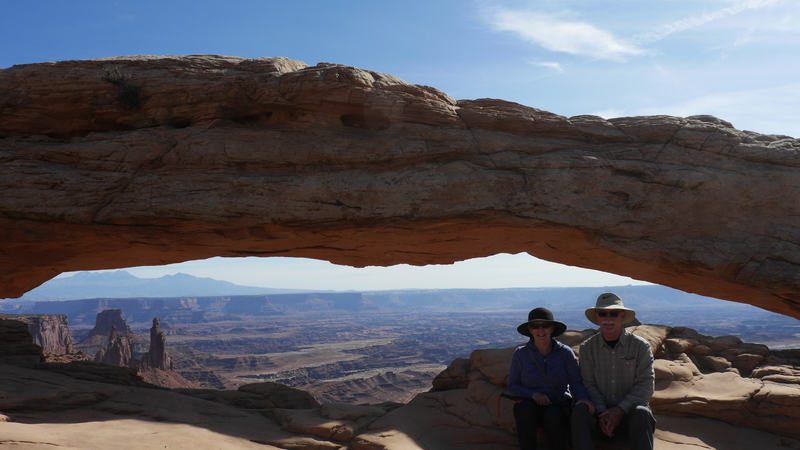 Less than an hour’s drive from Moab will put you atop the mythical sounding Island in the Sky, a remarkable district of Canyonlands National Park that makes you feel as if you are on top of the world. The views from the Island encompass thousands of square miles of colorful canyons, mesas and buttes. America Beautiful Pass will get you for free, otherwise a $25.00 fee is required. y, however, doesn’t end with our National Parks. Dead Horse Point State Park is a short drive from Moab and offers visitors amazing views of the snaking meanders of the Colorado River 2,000 feet below. Just 20 miles south of Moab are the La Sal Mountains, which are part of Manti-La Sal National Forest. Attaining heights of nearly 13,000 feet, these alpine mountains are the second highest mountain range in Utah. All of the amazing scenery in this part of the world is why Moab has such a rich history of filmmaking. However, seeing it on the big screen is one thing, experiencing it for yourself will fill you with enough memories to last a lifetime. Wonderful post and beautiful pictures! Thanks for inspiring us. I really enjoy your blog, Liz. Thank you for enjoying my Blog our next adventure is Mesa Verde cannot wait! !